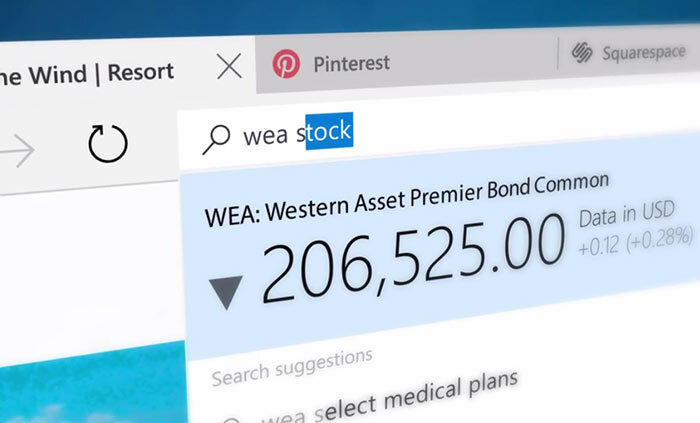 Microsoft Edge is the all-new browser that will be built-into Windows 10. 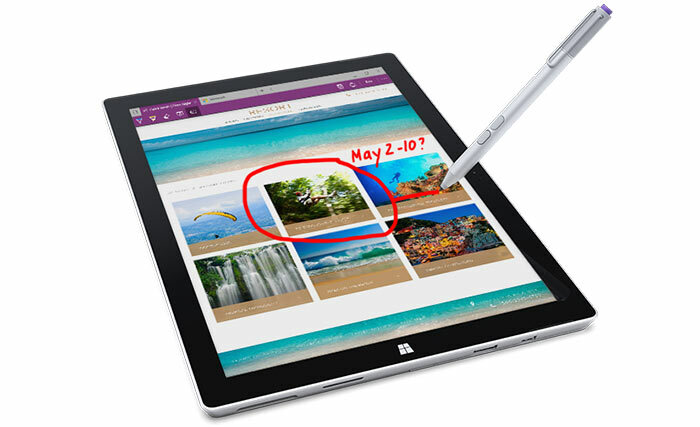 The new program was previously known as Microsoft Spartan and used the 'Edge' rendering engine. Back in January we heard that Microsoft was working on a launch name for Spartan and it favoured names beginning with 'E' so it could modernise the familiar 'e' logo and branding. According to reports at the time the choice was between Entourage, Elixa, Evo, Evex, Endeavor and Edge. These would be combined with a permutation of the words Microsoft, IE and/or Internet Explorer. Officially now, as you can see, Microsoft has plumped for Microsoft Edge. Microsoft says that the new browser blurs the edge between content consumption and creation, and "turns browsing into doing". This is mainly down to the way users can ink directly onto webpages and share them with others. Other key features of Microsoft Edge are, as we covered previously, the distraction free reading mode with a choice of colour schemes, Cortana is built-in, and the inclusion of a new rendering engine built from the ground up to be "fast, more secure and more reliable". Microsoft's new browser will be able to use extensions but it will have to start from a more or less blank slate while rivals Google Chrome an Firefox have lots of these functionality enhancements available. Neowin notes that during his BUILD presentation Microsoft's VP of Operating Systems, Joe Belfiore demonstrated a Chrome Reddit extension running in Edge. Reportedly only minor tweaks to the original extension were needed to port it over to Microsoft Edge. Users will have to wait until after RTM for extension functionality to come to Edge. Sometime 'this summer' an update available in the Windows Store will provide extensions functionality to the new browser. Other new features will be picked up along the way. However great this browser may be using the ‘e’ as an Icon is just going to make people think it's Internet Explorer and automatically think it's bad from the get go. They should use the Cortana search logo with a world inside it. The icon is merely for familiarity in the elderly and business sector. It doesn't matter how good edge is or how cool it looks, we're all going to download Firefox/Chrome anyway. By no measure an MS/IE fanboi here, but passing on Spartan/Edge is going to be a mistake. I don't know what they've done with it from the last publish until now (a period of maybe 4 days) but ‘Edge’ is, quite frankly, one of the fastest browsers I have ever used. How fast? No benchmarks, but anecdotally, it's as much faster now as Opera was to everything else back when you could stuff it on a 1.44 floppy. Rendering speed is insanely fast, and while I won't claim to have browsed 99% of the web overnight, I've yet to hit a compatibility snag. If there is a negative, it's that they still haven't implemented the ability to use Chrome's extensions, so no adblock, ghostery, no script, etc. And so far, the icon for Spartan/Edge is still the original Spartan icon. No E, modified or otherwise, although I'm sure that will change. Looks like build 10074 *might* be the release that's safe and stable enough to go with Win10 full time. Not so sure. Firefox has been slagged for a long time about it's bulk, and Chrome's bad reputation is getting to similar levels - although Chrome's also got the “Google snooping” baggage too. It's for those reasons that a lot of corporate IT folks I've dealt with are “IE only”. I've had god-awful problems with Chrome this month - something keeps redirecting the occasional click to malware sites. Eventually got so tired of it that I removed Chrome totally, (just reinstalled with ABP added this time). Funnily enough the problems seemed to start after I added FlashControl. Edge looks good on the face of it, my problem is that it's Windows-only so while it'll definitely replace IE for me, my main browsers will still be Firefox and Chrome (because those run on Linux too). If MS wants me to switch to Edge then they need non-Windows versions. Once the Chrome extensions go in, I'll have no reasons not to use Microsoft's browser. Honestly, the antipathy to IE's recent versions has been unnecessary - it was a perfectly good browser, and Edge seems to have lots of interesting improvements. I really like the way Win10 looks as well, so I'm inclined to use their browser in order to maintain that visual coherence. Chrome and FF look a bit old now.